Sep 05, 2016 Hi there - I am very sorry to hear that you are having issues with LeafFilter. LeafFilter is made out of a medical grade stainless steel, so no organic material will adhere to it or grow on it. Debris and leaves should be pouring over the subtle drip edge. 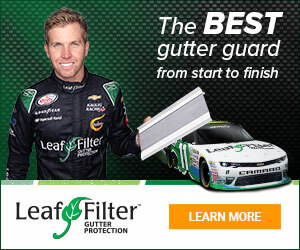 Your situation is not how Leaffilter typical performs. We would like to be able to address your situation and provide a solution. Please contact our dedicated service and support team and we will have a local service technician address your situation and provide a solution. Review #850639 is a subjective opinion of User850639.